How does dry cleaning work? Who invented dry cleaning process? Simply put, dry cleaning is the process of cleaning clothing and textiles with solvents other than water. It is most commonly used for any fabric that may degrade with the use of water or cannot withstand the rough handling of traditional tumble washing machines. Let’s start from the beginning. In the 1800s, a French gentleman named Jean Baptiste Jolly spilled some kerosene on either a gross tablecloth or some dirty laundry, depending on who you talk to. His clumsy mistake turned up an unexpected result: the oily mixture had banished the stains already built up on the fabric. Thinking he might have landed upon a better cleaner than soap and water, he started testing kerosene’s dirt-removal properties. Pleased with his results, he opened a kerosene-powered cleaning service in Paris – or what’s now known as the first ever dry cleaning establishment. Kerosene (believe it or not) lifts dirt without messing up the clothing fibers. Because kerosene doesn’t contain water, it can negotiate sensitive fabrics like wool or silk. The problem with kerosene, though, is that it is flammable—not quite as flammable as gasoline—but enough that soaking our clothes in it can be a problem. In the 1930’s, percholoroethylene, or ‘perc’ for short, was introduced and is used today in many dry cleaning plants. It proved to be safer and clean better. Other cleaning solvents have been added, including hydrocarbon, Green Earth, and others that are currently being introduced and tested. Offering reusable Green Garmento garment bags. 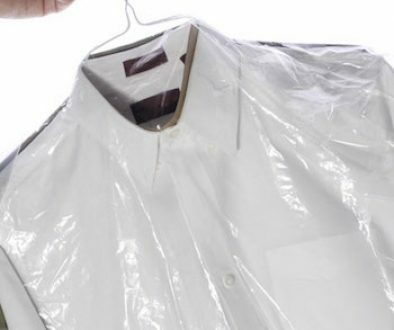 Using biodegradable and recyclable plastic garment bags. Using recycled paper whenever possible. Using permanent barcodes to cut down on paper waste. Using environmentally friendly cleaning methods. 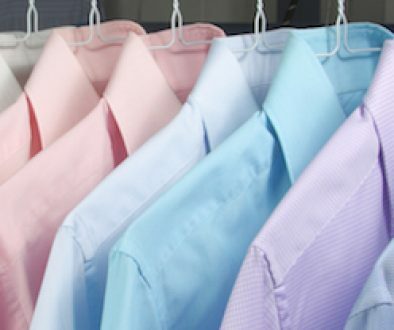 We have 7 dry cleaning machines and run 4 different solvents to provide the highest level of service possible for any type of garment or household item. We always utilize the most gentle process possible that will effectively clean each item. In addition to traditional dry cleaning methods, we offer some of the most environmentally friendly cleaning technology on the market. Read more about our process on our Services Page.